The primary objective of our approach to application development & maintenance service is to reduce the risk for a client while offering a superior level of service. SmartERP invests significantly in people, process and tools to create customized solutions tailored to each client, and we emphasize building a long-term engagement model to reap the maximum mutual benefits. Our deep experience in building and maintaining systems over the past 20+ years has resulted in a highly structured application development & maintenance service delivery approach, comprising a robust transition management process, change management approach and technology investments in state-of-the-art tool sets. Our services will help you maintain your business-critical applications and replace legacy applications. Our comprehensive services address quality shortcomings, and eliminate factors that have a negative impact on application structure, code quality and efficiency. SmartERP builds custom applications using existing and emerging technologies that work well with any software portfolio to meet specific business requirements. 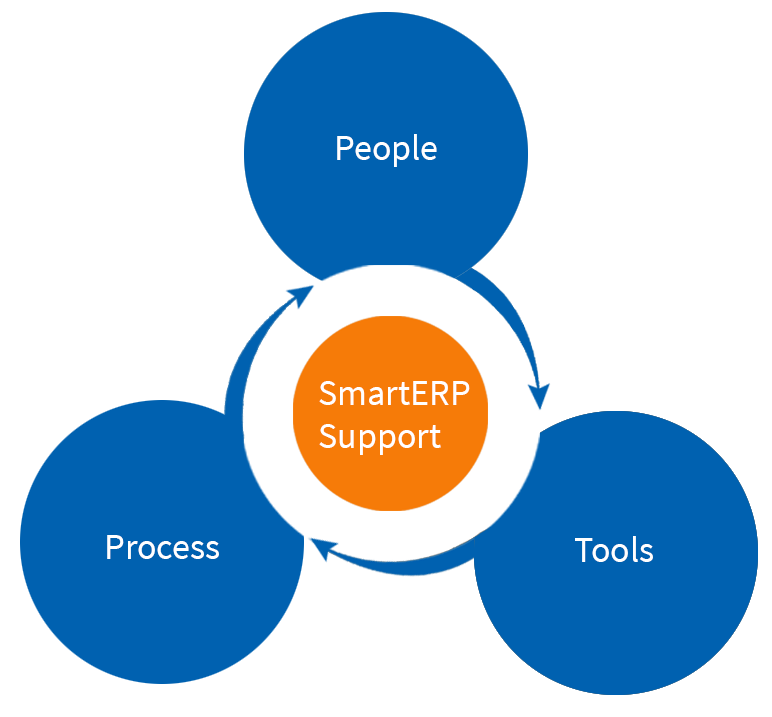 SmartERP’s operationssSupport can cost-effectively and -efficiently manage our clients infrastructure related to PeopleSoft.